Building on the buzz of the new year, Shopee Philippines unveils the top categories and brands in 2018 ahead of the first Payday sale of 2019 from 10 to 18 January. Electronics, Health & Beauty, and Home & Living emerged as the top categories for 2018, with Xiaomi, Maybelline, and The SM Store topping the charts for each category. The electronics category recorded around 300% increase in orders in 2018, becoming one of the top 3 categories on Shopee Philippines as Filipinos shopped for tech products online more. Shopee catered to this trend by onboarding leading electronics brands on Shopee Mall and also launching Shopee Gadget Zone, a dedicated portal featuring Lowest Price Guaranteed deals on tech products from top brands including Xiaomi, Samsung, and Oppo. Xiaomi emerged as the top electronics brand on Shopee Philippines in 2018. Xiaomi enjoyed a strong debut on Shopee Philippines as the Redmi 5 smartphone sold out in less than a minute during the brand’s first flash sale in April. It was also one of the most sought-after brands for Filipinos, as “Xiaomi” was searched around 900,000 times on Shopee Philippines over 2018. Finally, one of its most awaited smartphones, the Pocophone F1, sold out in 16 minutes on flash sale during Shopee 11.11 Big Christmas Sale. In addition, televisions were also popular among Shopee users in 2018, as TV brands Ace, Mass, and Avision ranked among the top 5 electronics brands on Shopee Philippines. Home & Living was also among the hottest categories in Shopee Philippines in 2018. Bath and bedroom supplies were especially popular among Filipino users; on average, over 2,000 bath and bedroom-related products were sold every day. In line with the global trend of cutting down on plastic use, around 400 stainless steel straws were sold per day on Shopee Philippines in 2018. The SM Store, the largest department store chain in the Philippines, was the number one brand in the Home & Living category in 2018. Insulated tumblers, oil diffusers, and hard case luggage bags were the hottest products on The SM Store as the brand saw robust performance over the year, ranking among the best-selling brands during Shopee 12.12 Big Christmas Sale. In line with the growing popularity of online shopping among men, there was also an increase in demand for electrical appliances and power tools as TCL, Bosch, and Lotus ranked among the top 10 Home & Living brands. Health & Beauty rounds off the top categories on Shopee Philippines in 2018 as Shopee users continued to snap up skincare products and cosmetics. Maybelline emerged as the top beauty brand on Shopee Philippines after a fruitful Shopee 12.12 Birthday Sale, where it sold over 50,000 items on 12 December alone. Maybelline’s success was driven by several hit products launched in 2018, such as the Superstay Matte Liquid Lipstick, Hypercurl Mascara, and the Fit Me Liquid Foundation. Filipino users were also interested in skincare and personal grooming, with P&G, Nivea, Unilever, Johnson & Johnson, and Garnier also named among the top Home & Living brands. Shoppers can look forward to even better deals from their favorite brands on Shopee in 2019, starting with the first Payday Sale of the year from 10 to 18 January. 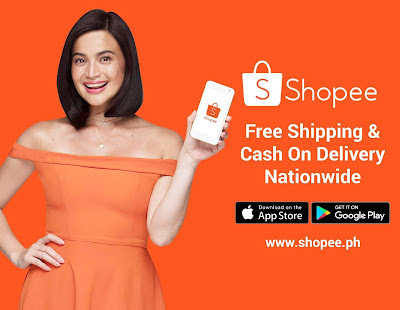 Users can enjoy free shipping with a minimum spend of ₱150, up to 7 rounds of flash sales daily, and the return of the new interactive live quiz game Shopee Quiz after a strong debut during Shopee 12.12 Big Christmas Sale. Shopee is the leading e-commerce platform in Southeast Asia and Taiwan. It is a platform tailored for the region, providing customers with an easy, secure and fast online shopping experience through strong payment and logistical support. Shopee aims to continually enhance its platform and become the region’s e-commerce destination of choice. Shopee has a wide selection of product categories ranging from consumer electronics to home & living, health & beauty, baby & toys, fashion and fitness equipment. Shopee, a Sea company, was first launched in Singapore in 2015, and has since expanded its reach to Malaysia, Thailand, Taiwan, Indonesia, Vietnam and the Philippines. Sea is a leader in digital entertainment, e-commerce and digital financial services across Greater Southeast Asia. Sea's mission is to better the lives of consumers and small businesses with technology, and is listed on the NYSE under the symbol SE.